“There was no ceasefire,” the senior official said, speaking on condition of anonymity. Netanyahu was in constant contact with the IDF chief of staff and other security officials throughout the 12-hour flight back to Israel, the official added. Netanyahu’s plane returned to Israel from the US at around 1 p.m. on Tuesday, and Netanyahu immediately made his way to the Defense Ministry headquarters in Tel Aviv for additional security consultations with IDF chief Aviv Kohavi and other top defense officials. At this stage, Netanyahu has not convened the security cabinet, but will merely “assess the information,” the senior official said. 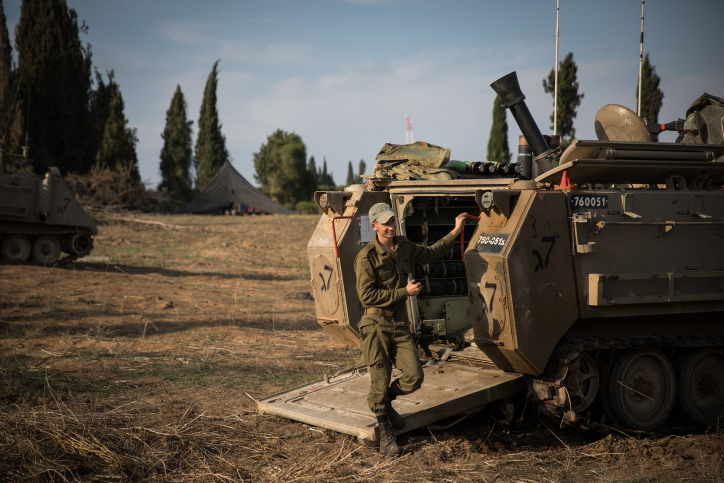 Though the truce, which was announced by Hamas but not formally acknowledged by Israeli officials, appeared to be holding, the Israel Defense Forces was preparing for the possibility of renewed violence in the Gaza Strip. 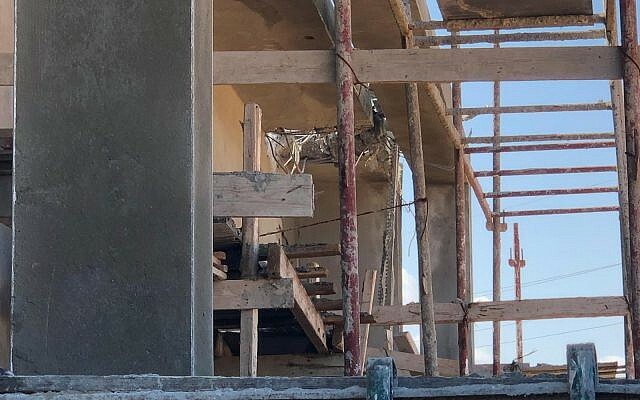 The latest round of violence was kindled when, just after dawn on Monday, a rocket from the southern Gaza Strip that Israel says was fired by Hamas struck a home in the town of Mishmeret, northeast of Tel Aviv, leveling the building. Two of the people inside were moderately wounded and five others, including two small children, were lightly injured. It was the farthest-reaching rocket strike from the Strip since the 2014 war. 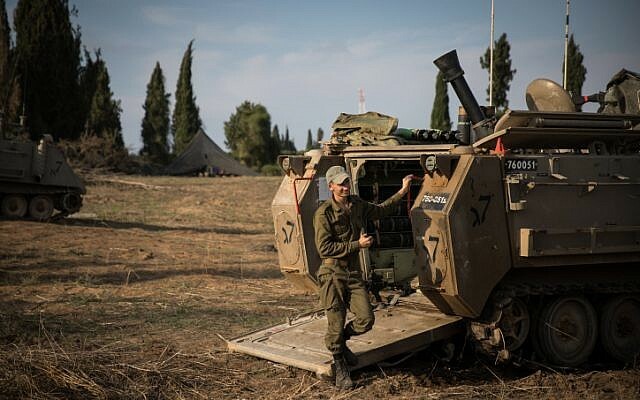 Shortly after the attack, the military sent two additional brigades to the Gaza region and called up approximately 1,000 reservists for air defense and other select units. Meanwhile, additional Iron Dome air defense batteries were deployed throughout the country. The rocket strike, which Israeli officials attributed to Hamas, represented a significant increase in the level of violence from the coastal enclave, following weeks of heightened tensions and border clashes, as well as recent skirmishes in an Israeli jail between Hamas security prisoners and prison guards. 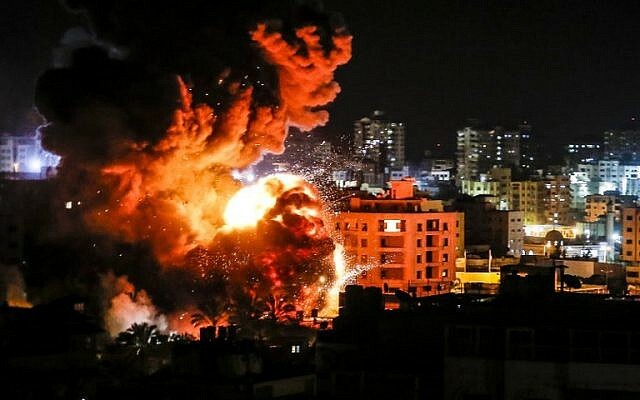 After a tense 12 hours of deliberations on the Israeli side and failed attempts by the Egyptian military to preemptively broker a ceasefire, the Israeli Air Force launched a large-scale retaliatory bombing campaign, destroying dozens of targets, including the offices of Hamas chairman Ismail Haniyeh in Gaza City. In response, shortly before 8:30 p.m., terrorists in the coastal enclave began launching mortar shells and rockets at southern Israel, triggering air raid sirens throughout the region and sending tens of thousands of Israelis scrambling for bomb shelters. From Monday night and into Tuesday morning, approximately 60 projectiles were fired at Israeli towns near the Gaza Strip. 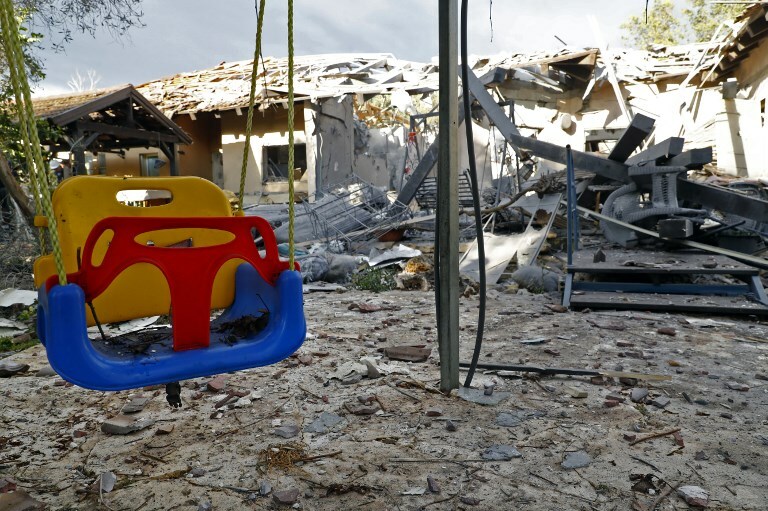 The barrages caused no injuries, but a number of projectiles struck homes in the town of Sderot in southern Israel, causing damage. Most of the rockets and mortar shells landed in open fields. Several others were intercepted by the IDF’s Iron Dome missile defense system, the army said. The last of the rockets were fired at 3:15 a.m., despite Hamas officials saying earlier that Egypt had brokered a ceasefire that would go into effect at 10 p.m.
On Tuesday morning, the Israeli military called for a number of precautionary safety measures in southern Israel: schools in the area were closed, though some informal education was permitted so long as it took place in fortified buildings; businesses were only allowed to open if workers had easy access to bomb shelters; and some government services were not made available in light of the threat of renewed violence. Departing the US for Israel around 2 a.m. (Israel time), Netanyahu — who, with elections looming, has come under strong criticism from the opposition and coalition over his Gaza policies — threatened a land invasion. There are fears in Israel that violence will ramp up this week, with Hamas hoping to draw hundreds of thousands of rioters to the fence this weekend to mark a year of so-called March of Return protests, which began March 30, 2018.